Once famous spas Vyhne have a successor. 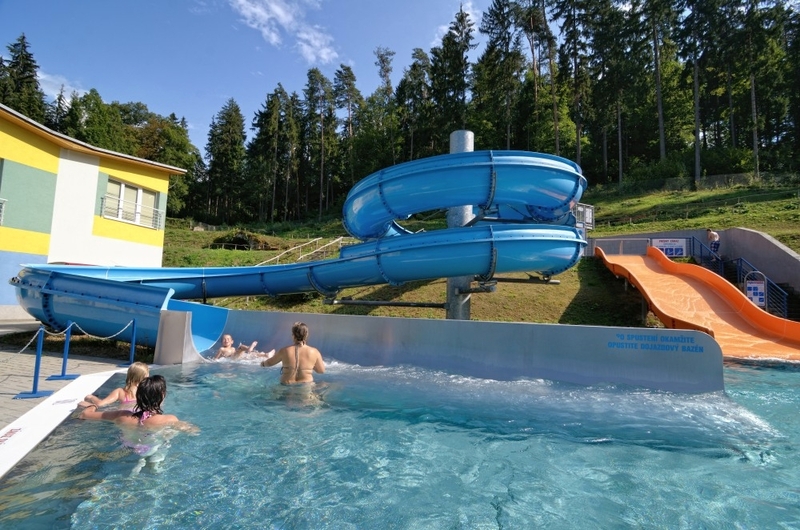 It is Vodný raj (Water Paradise) Vyhne resort, offering unique ways to relax amid beautiful countryside. Its timeless design, modern technologies and ideal location attract the tourist of the region as well as far surroundings. 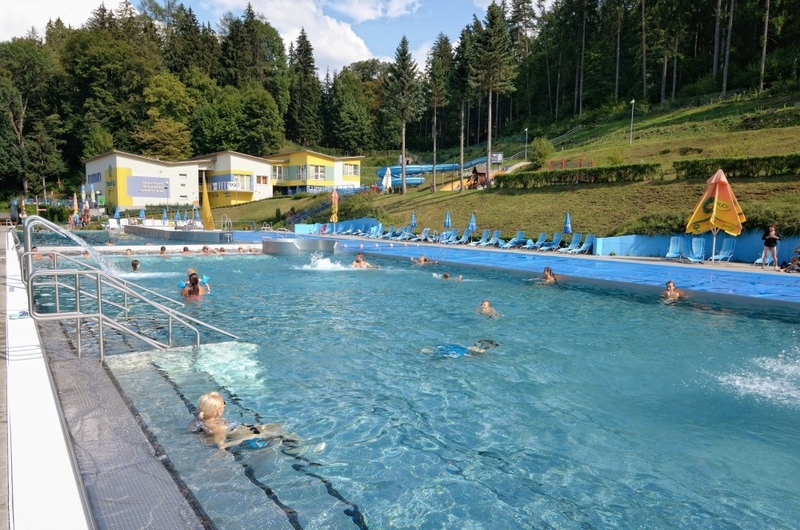 The source of natural thermal water in Vyhne is 36.5°C warm and has a high iron content. Its healing properties have beneficial effects on neuritis, gynecological diseases, joint and muscular rheumatism, skin or heart diseases, after surgery conditions and mental fatigue. The public may use services of entertainment and sports facilities including a huge 50-meter-big swimming pool with a diving chamber and a big relax pool with water attractions. A ship-shaped pool for children, finishing pool with a water slide and external pool with massage loungers will definitely delight families with children. 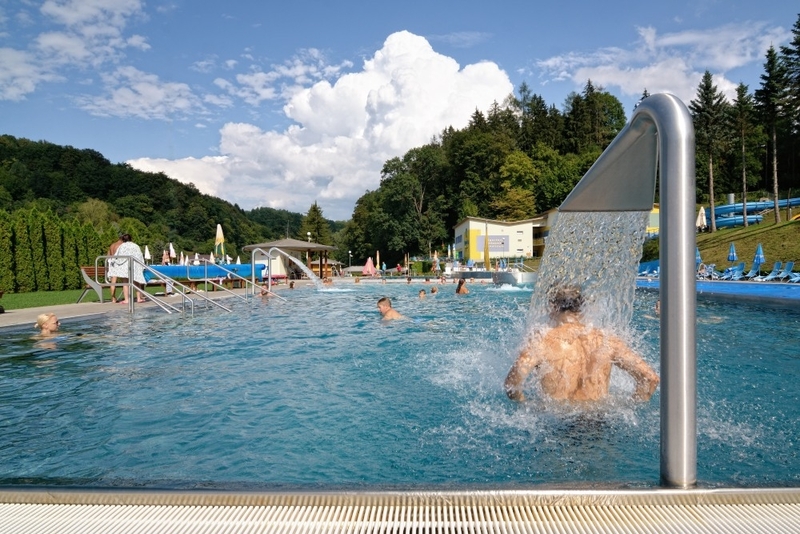 Water temperature in the swimming pools is 28°C, in relaxation pools from 30°C to 32°C. 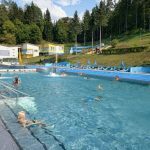 Moreover, Vodný raj (Water Paradise) has a year-round operating wellness (sauna, massages and solarium) not depending on weather, as well as leisure time relaxation services (fitness, squash, bowling, jacuzzi, spa tubs, tennis and volleyball courts and a playground).